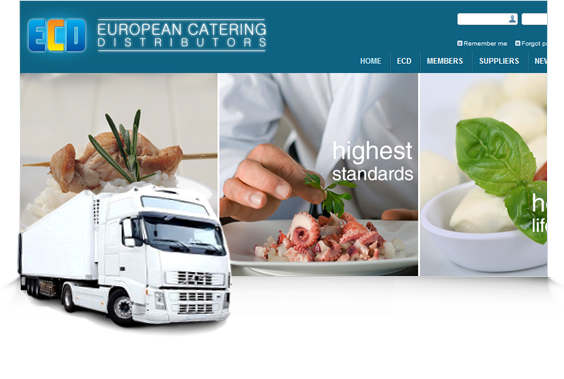 European Catering Distributors is an International Foodservice group whose members are all major foodservice wholesale distributors in their own countries. 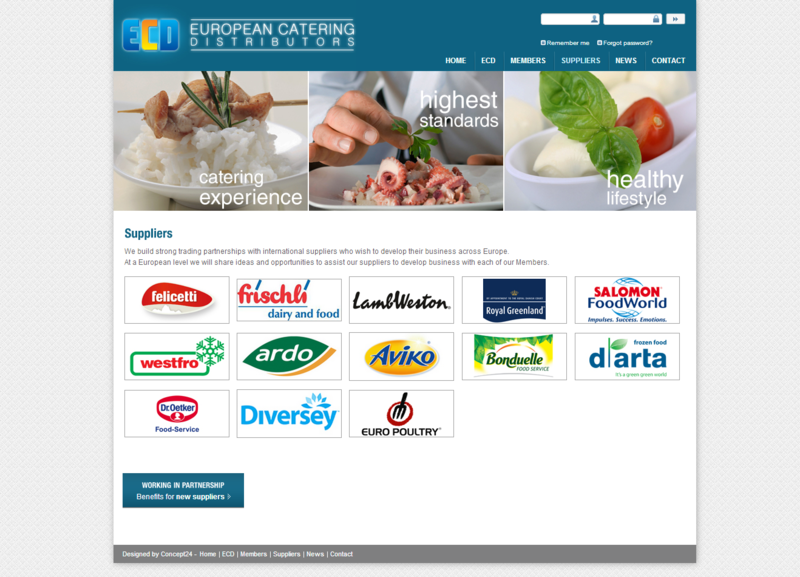 Created in 1991, today there are 13 countries each represented by a member company or wholesaler group owned by its members. 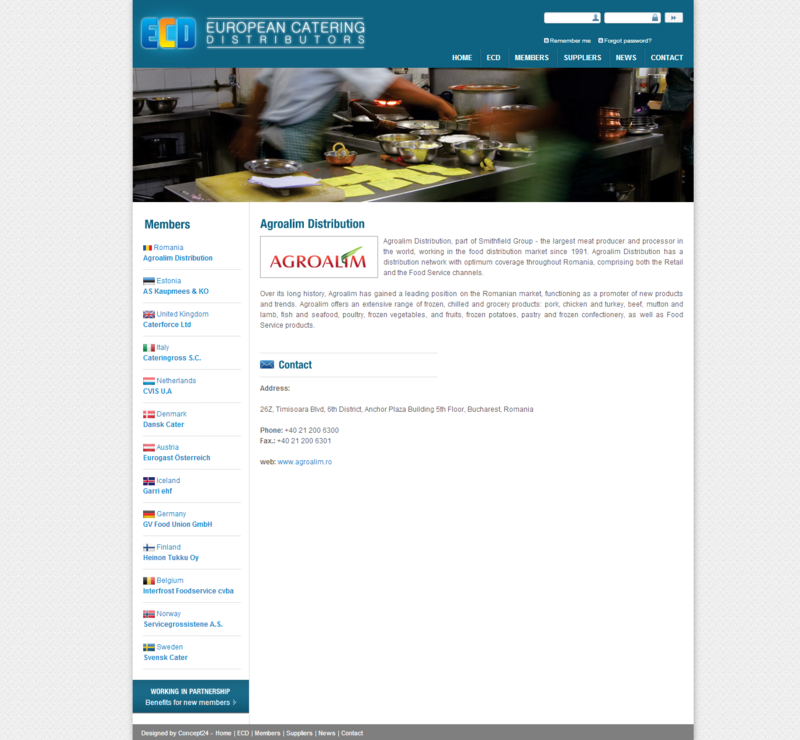 The website presents all the members and their suppliers, giving them the opportunity to present their activity and offer for the group. It also has an internal area of communication, where important information is accessible only by the group members. 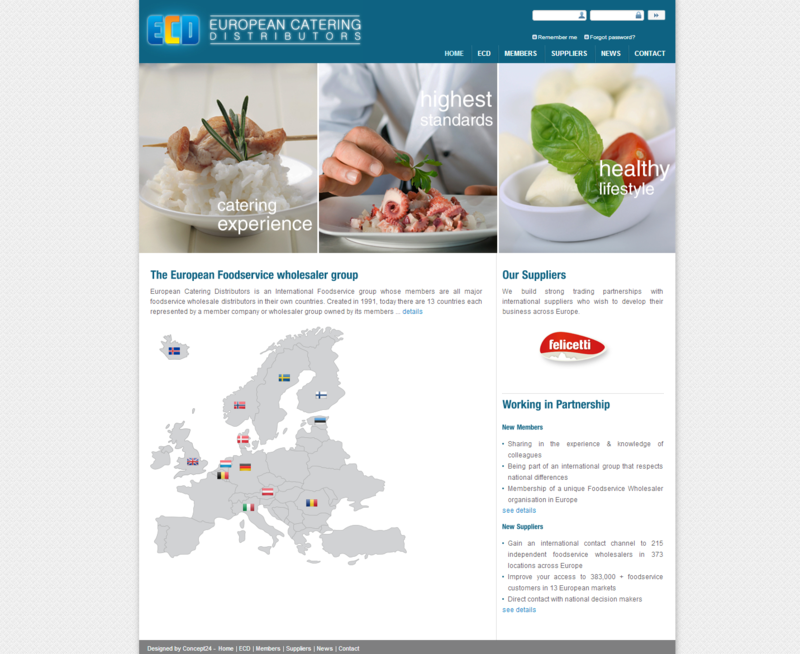 With a very intuitive functionality and light design, the website represents a great tool of promotion for all part of ECD.